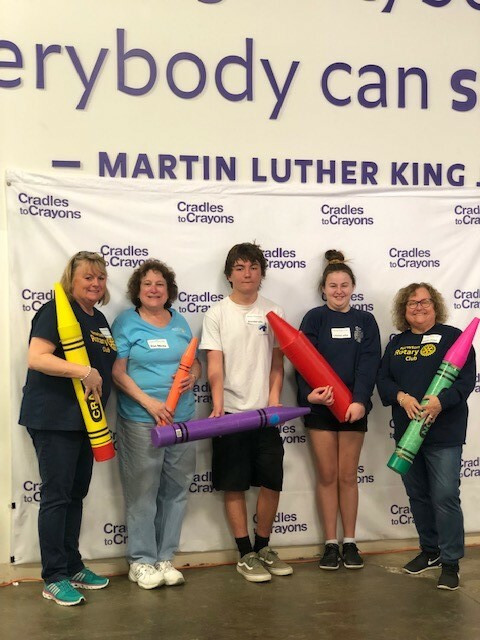 Rotary members Susan, Rae and Kathryn and her Children Brendan and Lauren had a fun and productive time at Crayon's to Cradles. 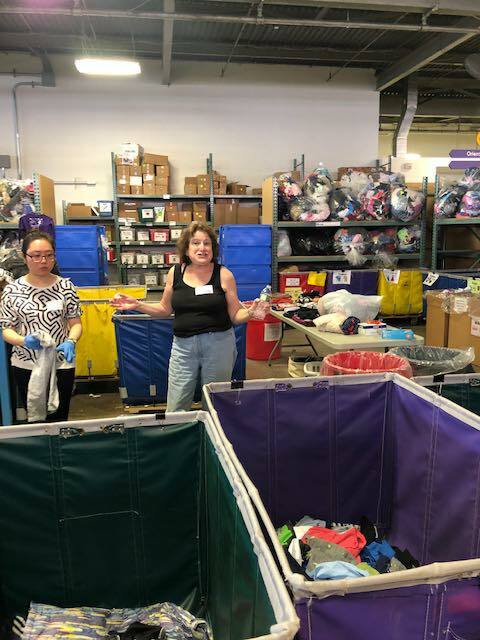 The shift included sorting out the bags (and bags and bags) of children's clothing, shoes, books and other items. Really amazed to learn they serve over 145,000 children in Massachusetts. Also great news that this organization that will be moving to Newton later in the year. Wonderful organization and fantastic staff who had so much energy and kept us motivated throughout the shift.